14 months into motherhood and I finally feel like I have mastered what makes the perfect hair for a day in the life of a mom. Getting ready with a toddler pulling at your leg hairs is no joke. Here are my 4 tips for cute, stylish, hassle free, and easy hair. Our infancy stage with Oliver has ended. Now it is time for reflection and planning how we can improve our experience and parenting when the next child comes along (no we are not pregnant!). The most difficult avenue we dealt with during Oliver's infancy was in the independent sleeping department. I have been researching and testing out products that can help us the next go 'round. There are also a few fun things that I wish I had purchased the first time, but will have to indulge on for baby #2. I have slowly been purchasing and collecting these items, but some are still on my wishlist. 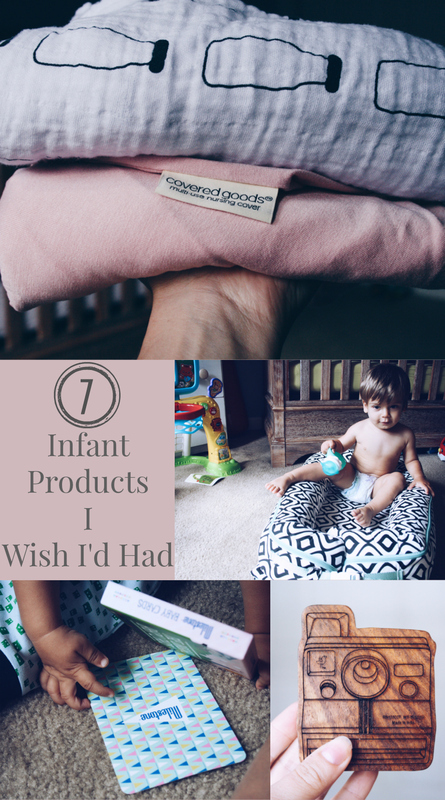 Here are my top 7 items I wish I'd had for baby #1. I have seen so many people in different moms groups or on Facebook ask what are the best toys to buy for a 1 year old. I decided to make a post about what you should be looking for when buying toys for a 1st birthday or Christmas! Below you can find my criteria for a good toy, my favorite brands, and shop-able links for toys that meet my 1 year old's approval. This blog post is a bit of a hodge podge of different products that have gotten the Simone stamp of approval! I get hundreds of things in the mail from companies wanting me to test and review their products. Few make the cut to end up on the blog or my Instagram. It is important to me to only promote things that I really use and love. I've made the mistake in the past of promoting things I ended up not liking and I felt awful. Now I make sure to take time to really use each item for extended periods of time before bringing them here. *some of these products were received for free, but all reviews are honest and my own.